As the temperatures begin to drop, many homeowners are looking for ways to keep their home warmer this winter. One of the most effective ways to maintain a cozy indoor temperature is by installing a programmable thermostat. 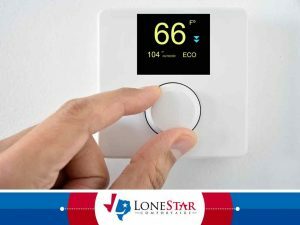 Lone Star Comfortaire, an air conditioning repair service provider, discusses how thermostats are a worthwhile investment this winter. Previously, we’ve talked about the common factors that muddy up the air quality of the inside of your house. 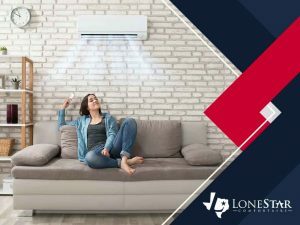 In this second blog of our two-part series, Lone Star Comfortaire, your leading AC repair company, discusses three ways to maintain good indoor air quality. 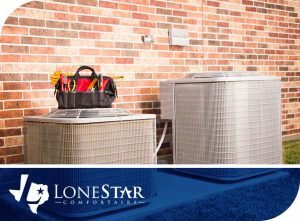 Fall is just around the corner, and the combination of increasingly dry and cool air can cause your respiratory system to go haywire. 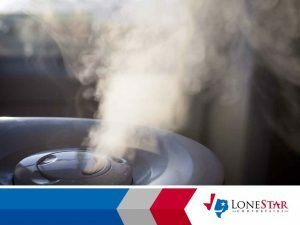 Fall is the season for allergies, but you can reduce your susceptibility to the new weather by investing in a humidifier. Excellent service, work was done accurately and in a time efficient manner! Could not be happier! I can't not say enough good things about this company!! You never have to worry about them taking advantage of you and they are quick, kind, and honest! Saved me today!! I'm a relatively new home owner. I'm still in the process of building my list of trusted technicians for various household appliances. 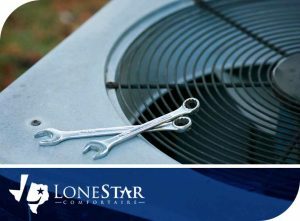 Lone Star Comfort Aire will be my first choice for all HVAC issues going forward. Specifically, Nathan Raglin. Mr. Raglin was extremely courteous, knowledgeable, and professional. My issue was fixed quickly and for a fair price. A different company told me I needed an entirely new system and that my system was 13 years older than it actually is. Mr. Raglin did not try to pressure me to buy anything I didn't need. He did not hesitate to answer my questions or treat me poorly for asking what were undoubtedly some amateur questions. I don't want my HVAC system to be in need of repair, but at the same time I want to give Mr. Raglin more business. For now, I hope a 5-star review will do. What a great business. Greg called ahead of appointment time to let me know he was on his way. Fixed my air in no time. Did not try to sell me anything I didn't need. This is now my go to air repair. He went above and beyond for me. I thank you! Nathan Reglin is the best a/c man! He fixed my a/c in no time, didn't try to over charge me and helped me save money by installing my attic step cover! Not only did this cool my closet off but my bill dropped by $20 dollars for the last 3 months! We will be life long customers of his! Professional, honest and competent. We can report a great experience with these guys -- quick to diagnose our problem...patient to recommend several options...and thorough to implement the solution. I've had great service from this company for over 20 years. They offer 24 hour service which I need for my rental properties. They even came out on Christmas Day during a major cold spell. I wish they were available in Indiana and Florida for my other properties. The owner runs his business honestly based on Christian principles. I highly recommend this company. I've had great service from this company for over 20 years. They offer 24 hours service which I need for my rental properties. They even came out on Christmas Day during a major cold spell. I wish they were available in Indiana and Florida for my other rental properties. The owner runs his business honestly based on Christian principles. I highly recommend this company.